Scott Pasour, 54, was struck and killed by lightning on Saturday afternoon near the entrance of Mount Mitchell State Park, North Carolina. Pasour and two other motorcyclists had stopped on the Blue Ridge Parkway to put on rain gear, according to the Gaston Gazette. The two other men were not hurt and reported that they did not see any lightning or heard any thunder until the deadly lightning bolt. 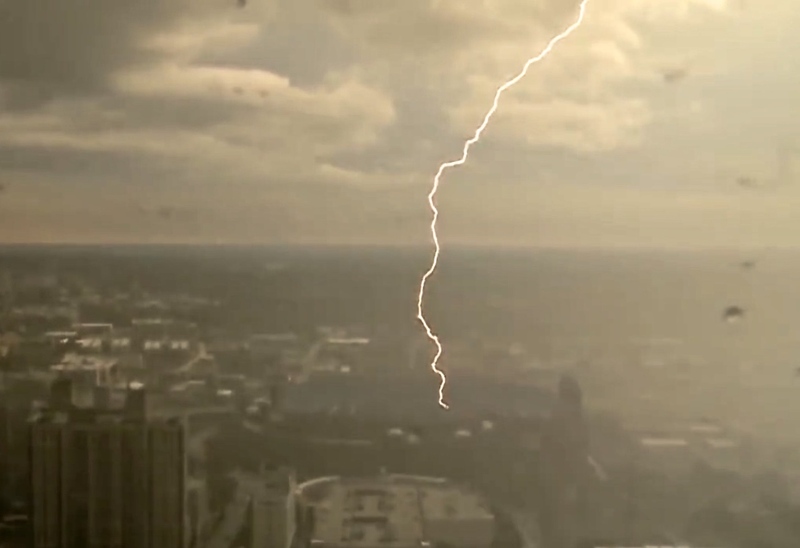 The "first bolt" from a thunderstorm is disproportionately dangerous. More about that below. Also, via Twitter and meteorologist Brad Panovich comes this photo of a lightning strike hitting the seating area of Bank of American stadium in Charlotte. During the video from which this screen capture was made lightning strikes several times. Thank goodness the stadium was empty at the time. AccuWeather Enterprise Solutions (AES) provides timely lightning and other types of storm warnings to more than 1,000 outdoor events each year. As noted above, the "first bolt" from thunderstorms is disproportionately dangerous. 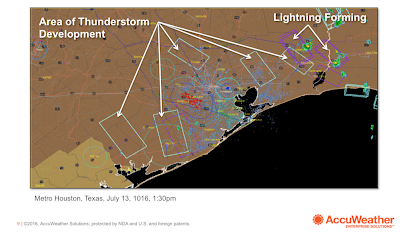 During the past month AccuWeather advanced the state of the art again by partnering with NextStorm to provide even more advance notice (greater "lead time") before lightning strikes. Only AccuWeather has this valuable technology. 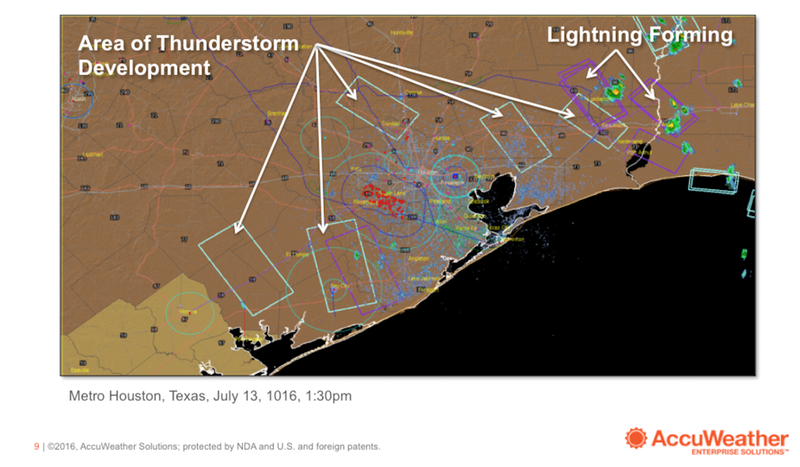 The image below (purple rectangles) shows areas where lightning is going to form before any lightning is occurring. Our goal is to give reliable warnings in time for precautions to be taken. So, if you are a patron of one of an outdoor event and the promoter tells you to take shelter (as occurred Saturday night in Raleigh), please follow their instructions. And, if you don't have AccuWeather supporting you, please click on the AES link above and get in touch with us.